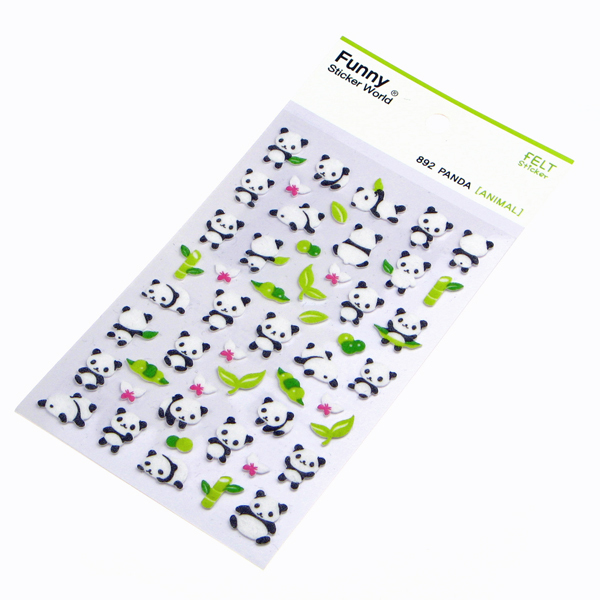 Kawaii Panda Felt Stickers are the perfect addition to any collection of stickers. The stickers are 3D, slightly raised and made of felt for a wonderful fuzzy texture that compliments the panda theme. The stickers feature different views of a panda, along with flowers and branches of bamboo making for a complete panda scene. Images are for illustrative purposes only. Not suitable for children under 3 years due to small parts.